Despite my view that mothers should be able to breastfeed whenever and wherever they need to, there are times when I am not comfortable to do so. For example, busy hospital foyers, shopping malls. Happily, in amongst the ever-growing and oft bewildering mountain of products thrust upon new parents are some practical and useful ideas, and I would include a nursing/breast feeding cover in the useful category. But not in the ‘sure! I’ll pay $100 for it’ category. 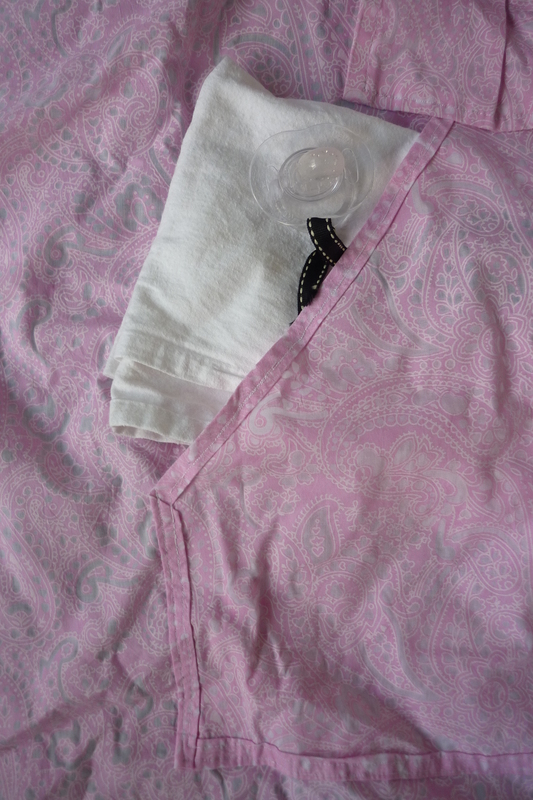 In fact I find this nursing cover excellent if I’m in a sunny, drafty or cold position, and even just to help bub keep focused and not get so distracted! 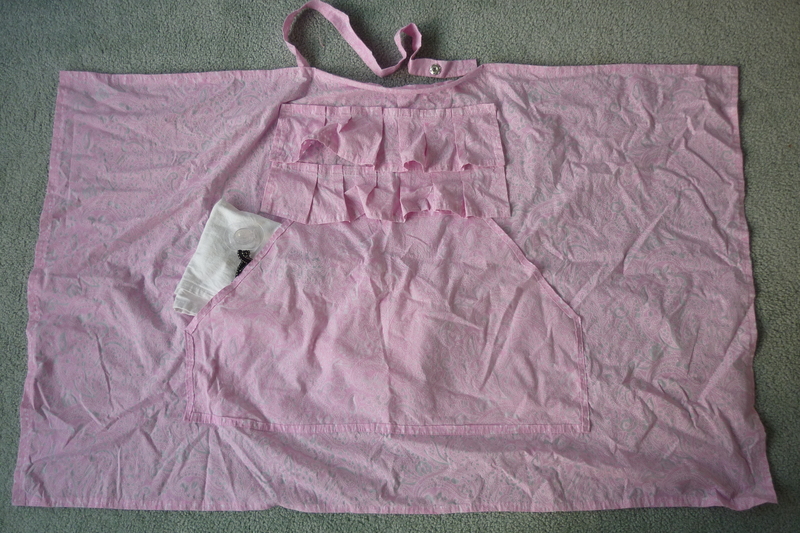 I found this fabulous tutorial over at DIY Maternity to make a very easy cover. I love Megan’s website – lots of creative and thrifty ideas for re-purposing clothes; head over and check it out. It was even quick enough for me to make in short bursts during rest breaks, like when I was making Baby Bunting. 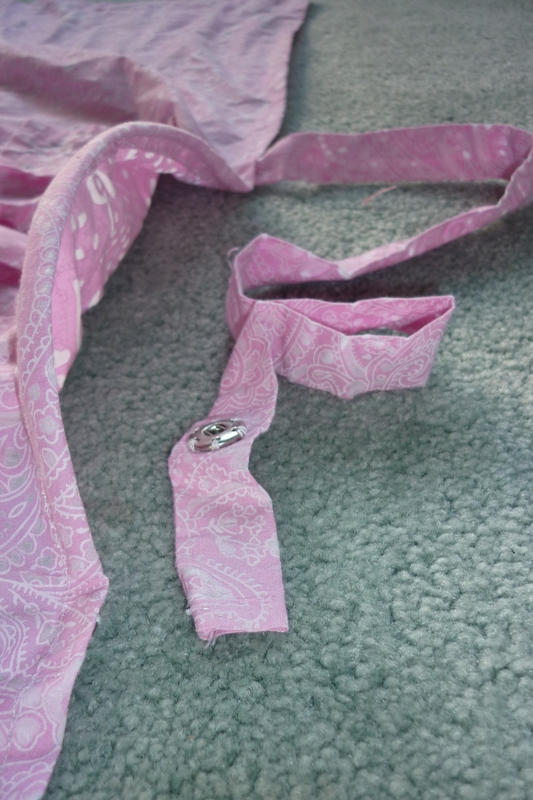 If you have a sewing machine, or know someone who does, this takes no time at all. 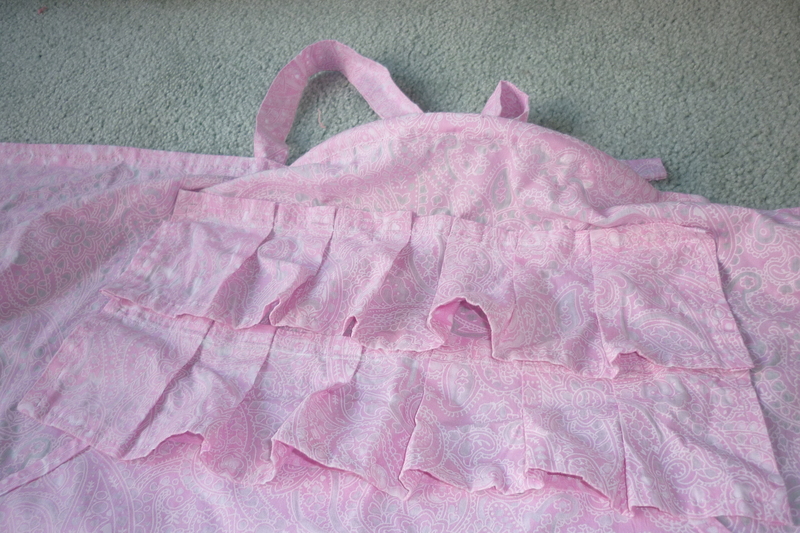 I added a pocket to hold a cloth and a dummy, and ruffles just to make it pretty, but you don’t have to. I used some gorgeous fabric I picked up at Spotlight for $1/metre ages ago, and as my rather lame sewing machine can’t handle sewing through elastic as suggested in the tutorial, I used some press studs I already had for the behind-the-neck strap, which does the job just as nicely even if it isn’t quite as finessed. I did buy 25cm of corset boning, to use as a little ‘peek-a-boo space’ to look at bubba while feeding, which cost me less than a dollar. (Megan’s tutorial has an even cheaper option!) So all together, this project *might* have cost me $2. And as far as time, well I’d say around an hour, if that. It really is just a hemmed rectangle and a strip of fabric to go around your neck! What a gorgeous project to make for yourself or as a baby shower gift. 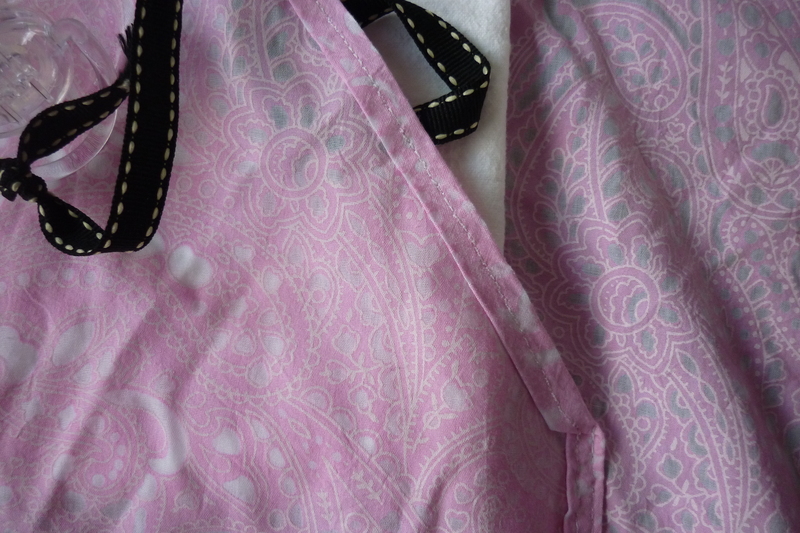 Isn’t this fabric with its see-through design pretty?